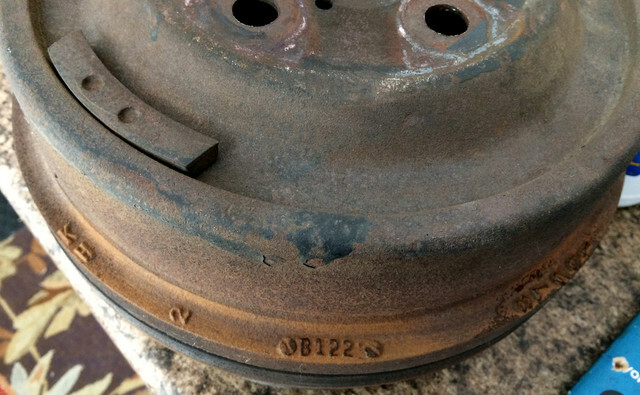 Are These My Original Brake Drums? Date Code? 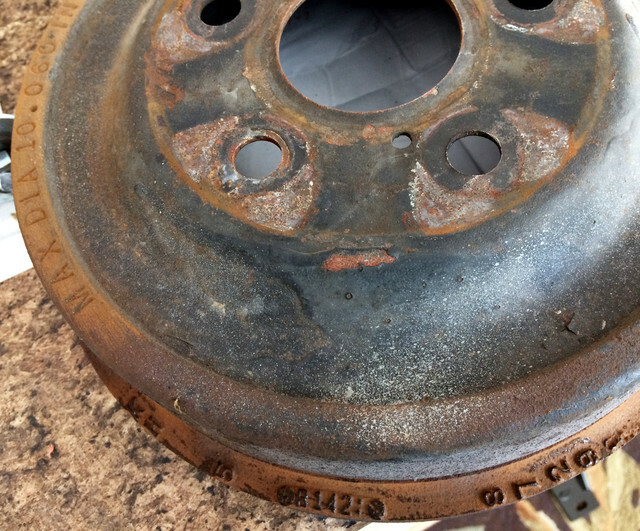 › Are These My Original Brake Drums? Date Code? Was working on some stuff on my 72 and noticed that the rear drums were stamped Ford on them. Since the car has only 84k original miles was thinking they may be the originals? Both have Ford on them, both have KH on them which I believe stands for Kelsey Hayes who manufactured them? They have what I think is a part or serial number on them...one is 87290 and the other is 87291? Can someone tell me if the stampings of B122 and B142 are the date codes and how do you read? One is 2 week of Feb , other is 2 week of April. As long as your car was built later than 4/12/71 (in the case of the later one) then no reason to think they aren't original. NO ONE was sourcing date coded OEM parts for restorations back in the 90's. Did your car have Magnums? So I believe these are B122 is February 12, 1972 and B142 is February 14,1972. My car build date is April 6, 1972 so this seems correct. Jeff8877, Agree with your date code results . While Ford used Julian dates and some other formats on parts, brakes drums used month, date, year sequence. The 87290 and 87291 are KH manufacturer numbers. The C2OZ-B (10x2") and C3OZ-B (10X1 3/4) brake drums have been installed on unibody Fords with 10" brakes since 1962. Since they were used in such great numbers, the casting date on the drum and vehicle build date are usually pretty close. Ford did use a flared and ribbed brake drum for 73 Mustangs with the 10x2" brakes. 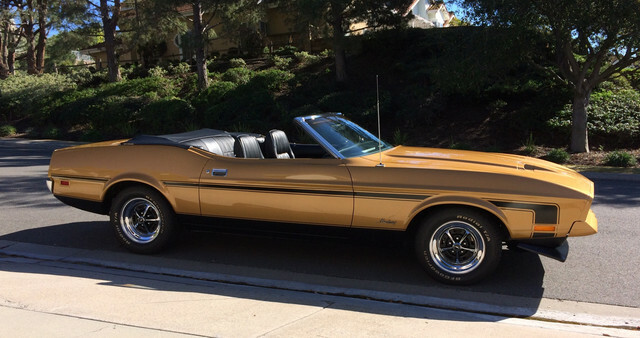 Ford painted the wheel side of brake drums black on Magnum equipped vehicles so you would not see rusty drums through the open areas between the spokes. And in case nobody has ever told you, ....that is one fine lookin' drop top! Mark...I couldn't figure out why you asked if the car had Magnums until Steve's post that the front of the drum got painted black. Guess you saw the original black paint on my drums. Learn something new every day.